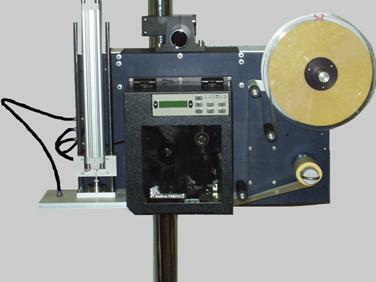 The vac apply label applicator with its robust and versatile design has a proven track record within a wide range of industries and production environments. This print on demand applicator can be used as a stand alone unit with its own free standing pedestal mounting. The applicator can incorporate all the main makes of print engines. With its reliable cylinder apply technology this makes it an ideal outer case labelling system. System configurations can accommodate side, front or rear face labelling. Please click on image for a demonstration.